Seattle could break a record on Wednesday, when its high temperature may climb up to the lower 70s. That's cooler than the weather service had forecast a day earlier, according to the National Weather Service. Editor’s note: This story was updated on Tuesday afternoon to reflect a revised forecast by the National Weather Service. If you’ve been waiting for the perfect weather to go to a pumpkin patch, corn maze or apple orchard, this week is probably your best bet. The National Weather Service forecasts dry and sunny conditions, with highs in the 60s through the weekend, according to a revised forecast on Tuesday. That’s unusual for October, Seattle-based NWS meteorologist Samantha Borth said by phone Monday morning. 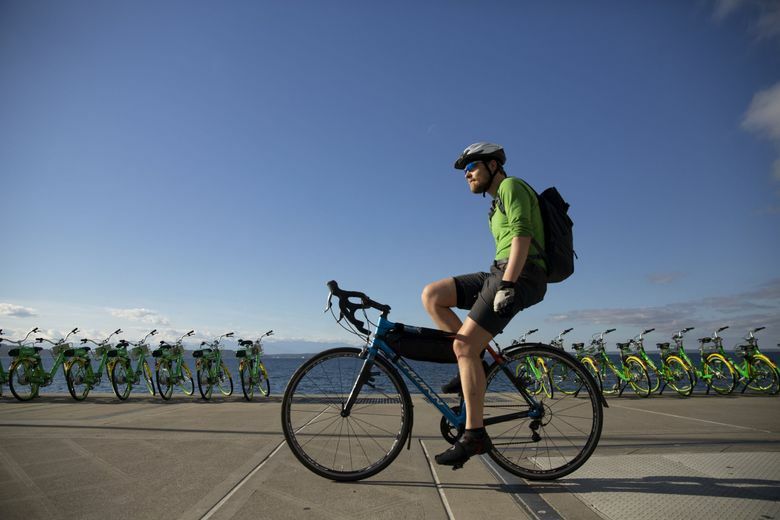 Seattle could break a record on Wednesday, when its high temperature may climb up to the lower 70s, NWS meteorologist Jacob DeFlitch said by phone Tuesday. That’s a few degrees cooler than the weather service had forecast a day earlier. It would still have a shot at topping the record at Seattle-Tacoma International Airport for that day, which was set in 2002 at 70 degrees. October has already been relatively warm and dry. The high temperature each day hasn’t dipped below 56 degrees, and low temperatures have been in the 40s and 50s. There have been 1.09 inches of precipitation recorded at Sea-Tac this month. It may seem especially dry when comparing it with October of last year, when Sea-Tac recorded 4.8 inches of rain, or almost 40 percent above average for the month. Meanwhile, strong winds and dry weather in southwestern Washington caused ash to blow from Mount St. Helens for a second day on Monday, though not as much as a day earlier, according to the NWS. Air-quality monitoring stations in towns including Chehalis, Lewis County registered unhealthy for people who are unusually sensitive to particle pollution.